Impaired fertility can be an unwanted consequence of some of the treatment modalities used to cure pediatric cancer. Certain chemotherapy agents as well as radiation therapy can result in infertility after therapy has ended. Fertility is an important long-term quality of life issue for childhood cancer survivors as they reach young adulthood. 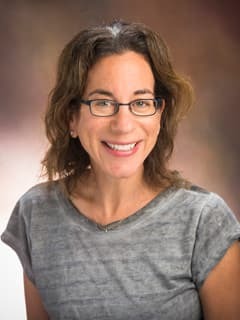 Researchers at the Center for Childhood Cancer Research, including Jill P. Ginsberg, MD, are currently offering fertility preservation options to both prepubertal and pubertal males and females facing therapy that could impact their ability to have children in the future. CHOP’s Fertility Preservation Team members counsel patients and families at the time of their cancer diagnosis and provide access to fertility preservation options, such as sperm banking, egg freezing and ovarian or testicular tissue harvesting. Some of these options are considered standard care but others are available only through research (ovarian and testicular tissue freezing). Counseling is individualized and takes into account the patient’s pubertal stage and the timing of their planned treatment. Sperm banking and egg harvesting are clinically proven methods but are only appropriate in patients that have already gone through puberty. There are other limitations, and timing is always an important consideration. For example, egg harvesting may not always be an option because it requires several weeks of hormonal stimulation. Some patients may not have this time to wait before starting therapy. Experimental options for fertility preservation are now available, including ovarian and testicular tissue freezing. Through CHOP research protocols, a small piece of the testicle or ovary can be removed in the operating room and frozen for many years. At a later date, this tissue can be thawed and re-implanted to restore fertility. Exciting strides are being made, and there have been livebirths in humans using frozen ovarian tissue, although the numbers are very small. Clinical applications using testicular tissue in humans to restore fertility are purely experimental. Patients and parents that participate in these studies also give permission for a small piece of tissue to be studied in the laboratory, helping researchers understand how to best use this tissue in the future. Researchers from the CCCR are also studying patient and parent beliefs about fertility preservation and decision-making influences. In this study, a set of follow-up questionnaires is administered two weeks after the fertility preservation procedure. Questions focus on perception of risk for infertility, previous knowledge of fertility preservation techniques, timing of the discussion with providers, and what factors influenced the decision-making process. Data from this study will help oncologists have a better understanding of these core issues and will guide the timing and content of future discussions with patients and families. Parents have told researchers that they welcome the opportunity to potentially preserve their child’s fertility, even if there are no guarantees. It gives them hope for the future. Fertility preservation is an important consideration for newly diagnosed patients and has the potential to positively impact the quality of life of long-term cancer survivors.